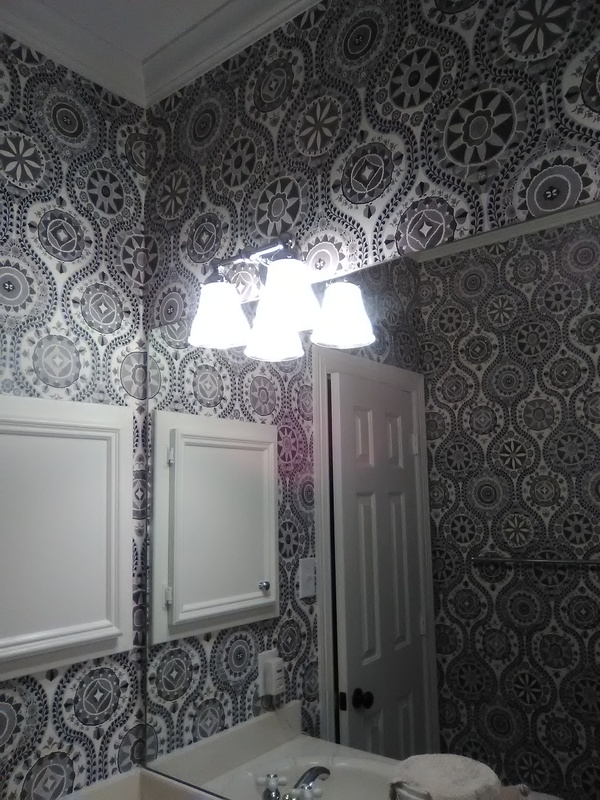 In previous posts, including one day ago, I have railed against the lower-price-point, pre-pasted, paper-backed, solid vinyl wallpapers. Do a Search here to find out why. 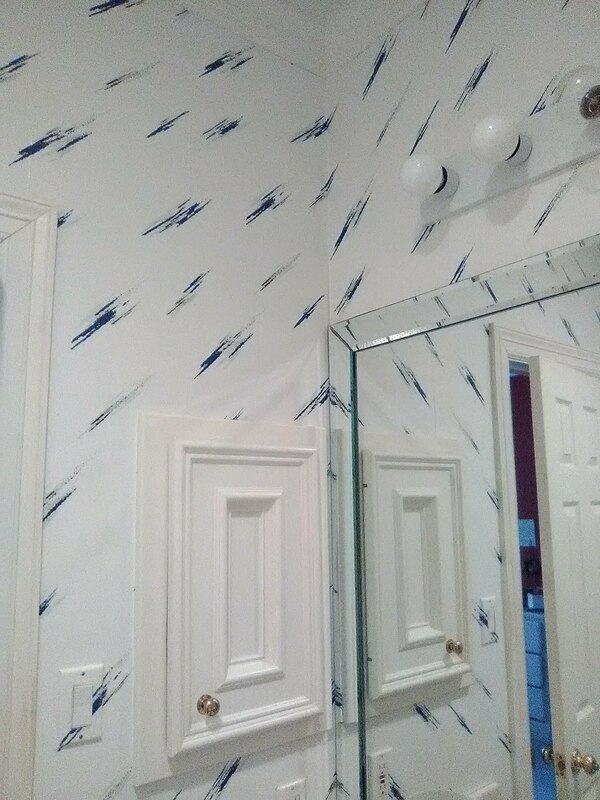 But today, at the end of a 9-day job in Bellaire, where each of the four bathrooms was using the same brand of wallpaper, this final pattern (in a powder room) actually went up beautifully. The seams laid down nice and flat, there was no bubbling, no curling, no fighting with it. Even I could not find the seams! I noticed three differences. 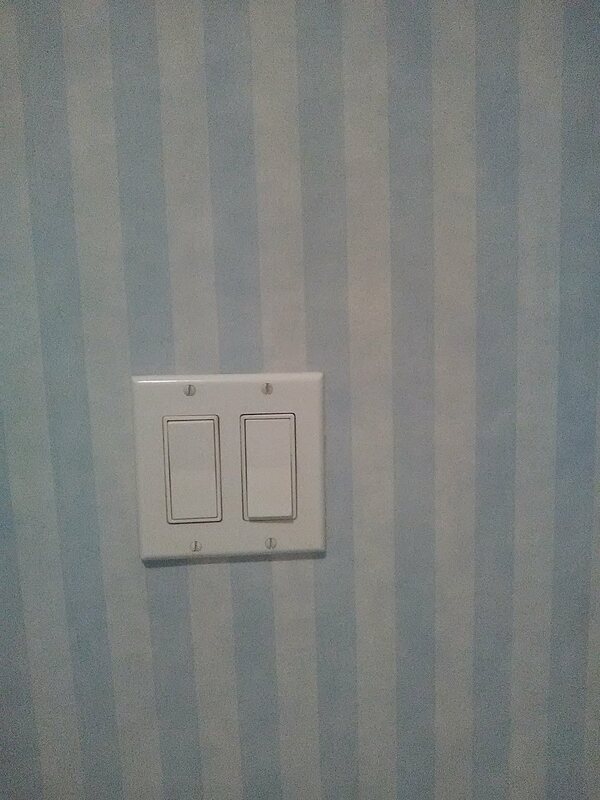 First, the vinyl on the surface was smooth, instead of the lightly textured faux “satin” look on the other two patterns. 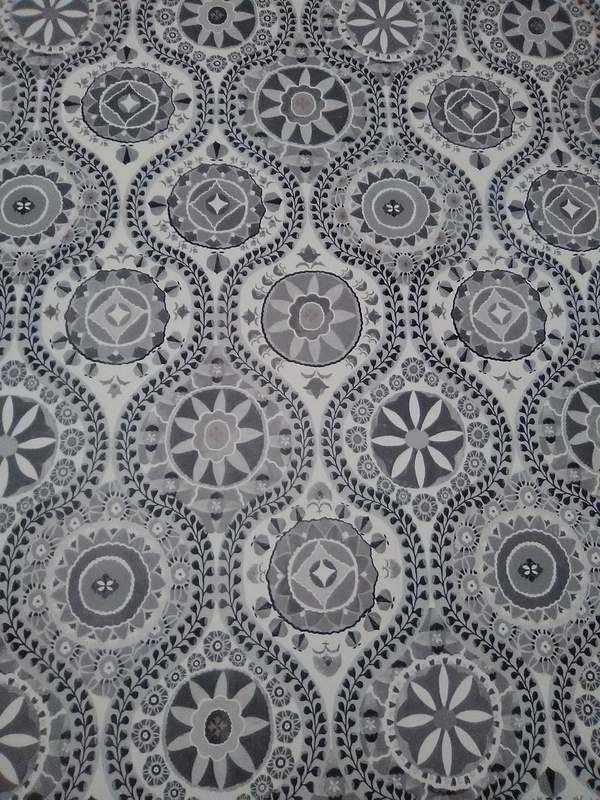 Second, the paper backing seemed smoother, as contrasted to the somewhat gritty, porous paper backing on the other patterns. 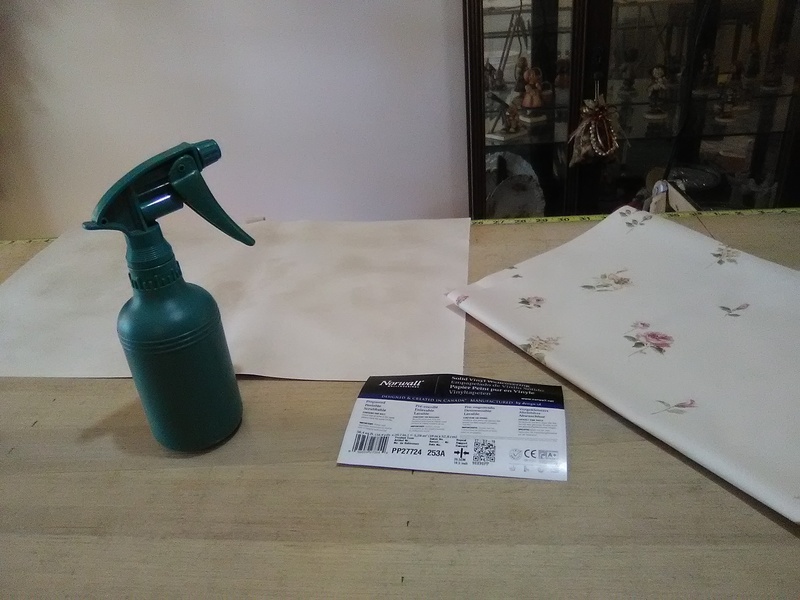 Third, the pre-paste applied by the manufacturer to the back of the paper was smoother and more gel-like, instead of the dry, globby, cantankerous paste on the other papers. It’s too early to tell how this paper will hold up under humid conditions. 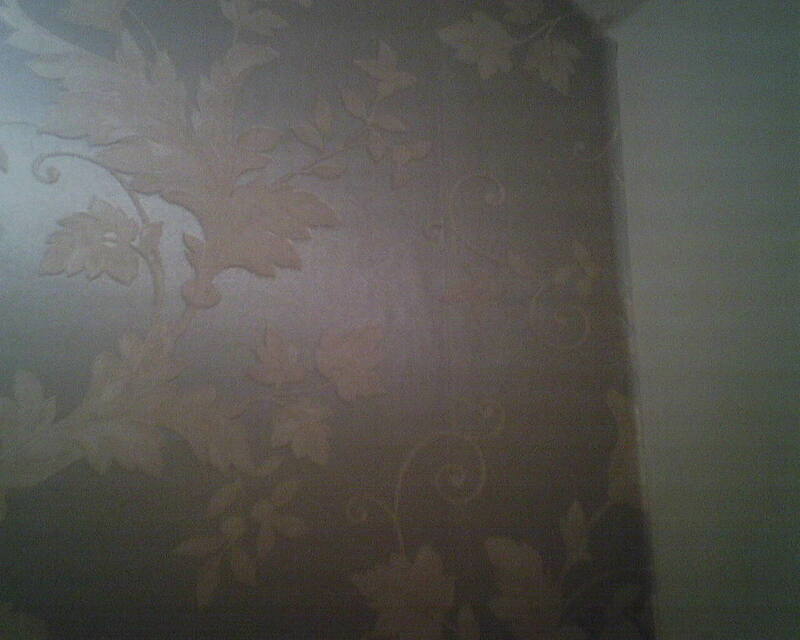 But I have much more hope that it will not absorb humidity from the air, and will stay nice and flat to the wall. 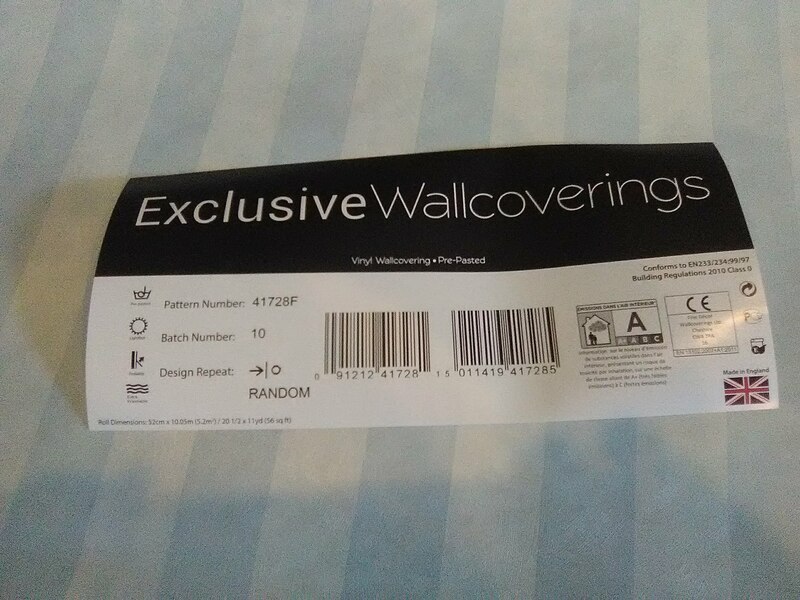 The manufacturer is “Exclusive Wallcoverings” and is a British company. I’m not saying I love this paper, but it appears to be better than most of the pre-pasted, paper-backed, solid vinyl offerings out there. 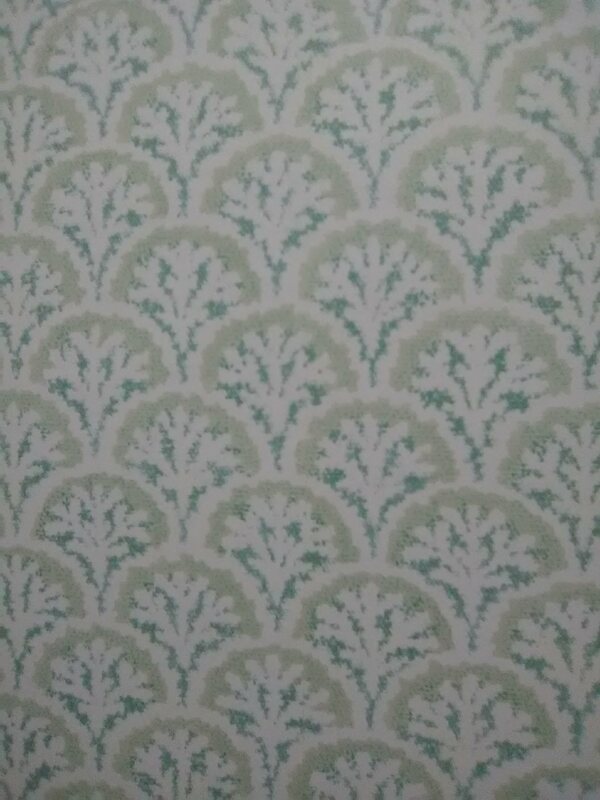 Today’s wallpaper was a pre-pasted solid-vinyl material with a somewhat gritty manila paper type backing. These papers are usually in the lower price spectrum. 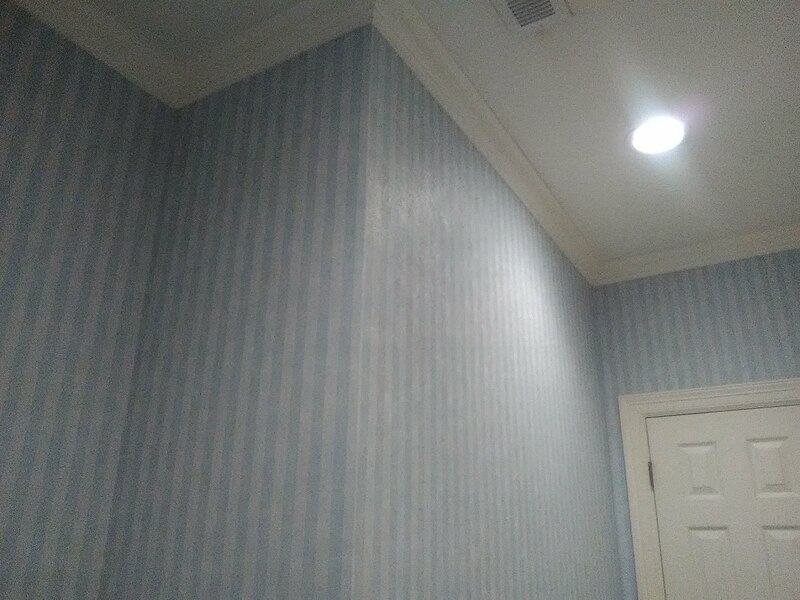 These papers are also my least favorite type of wallcovering. 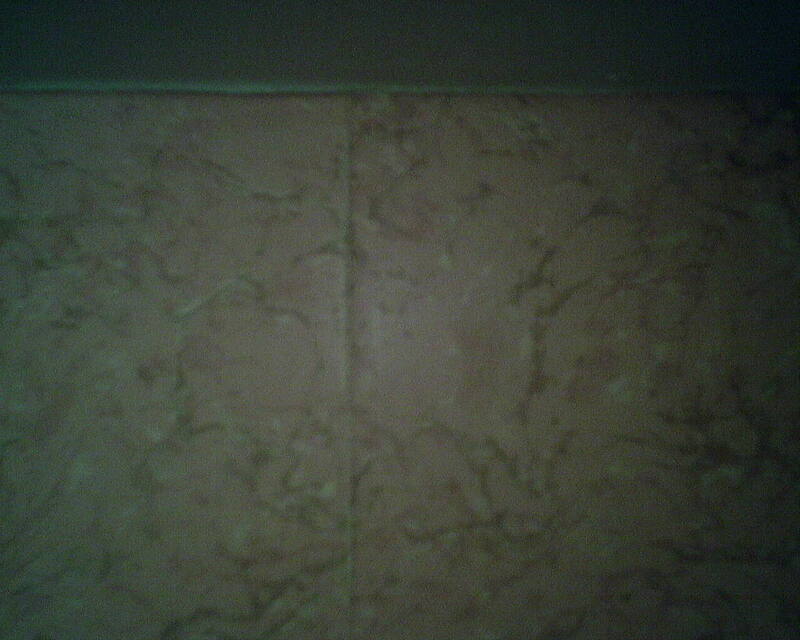 In the upper right of the photo is a seam that is what I call pooched. Puckered just a little. 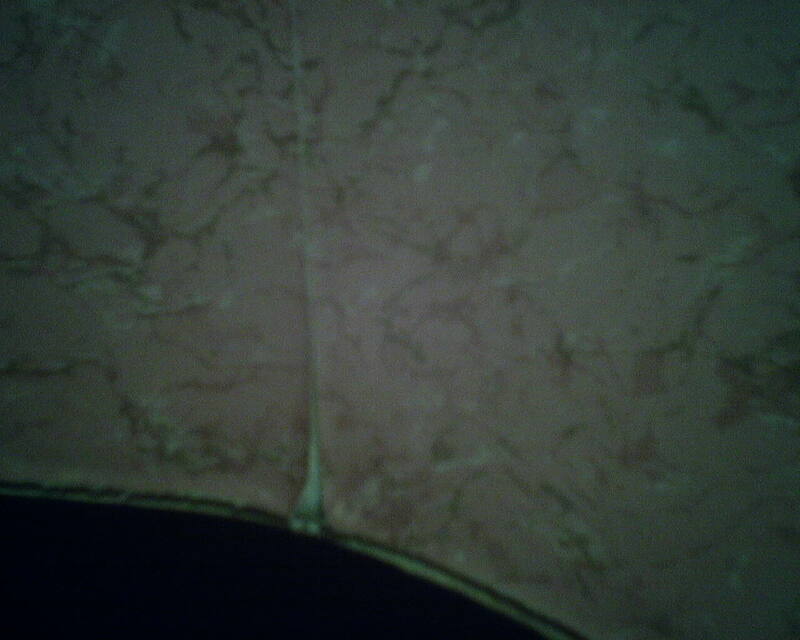 Other parts of the seam gapped a little. There were many areas that curled and would not lie down flat against the wall. I tried three pasting methods with the paper, but none of them left really good looking seams. 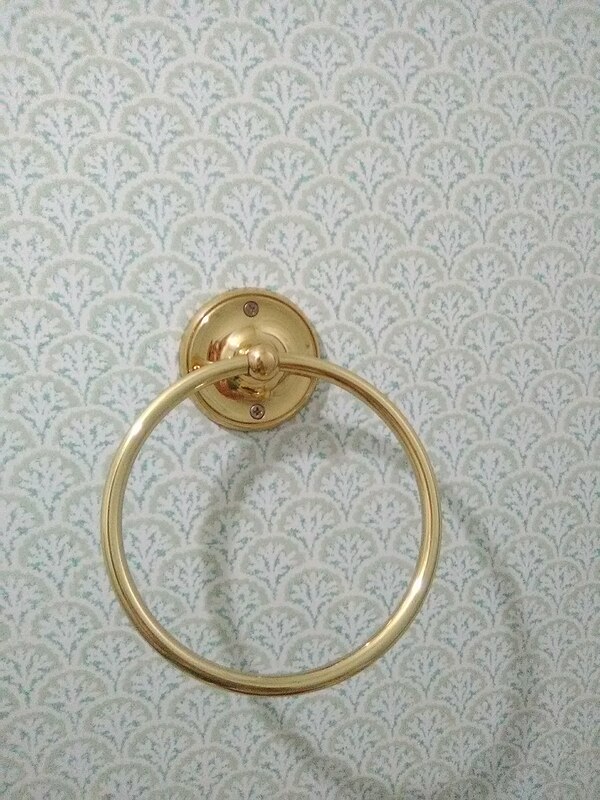 Did I mention that I hate paper-backed, solid vinyl wallpapers? 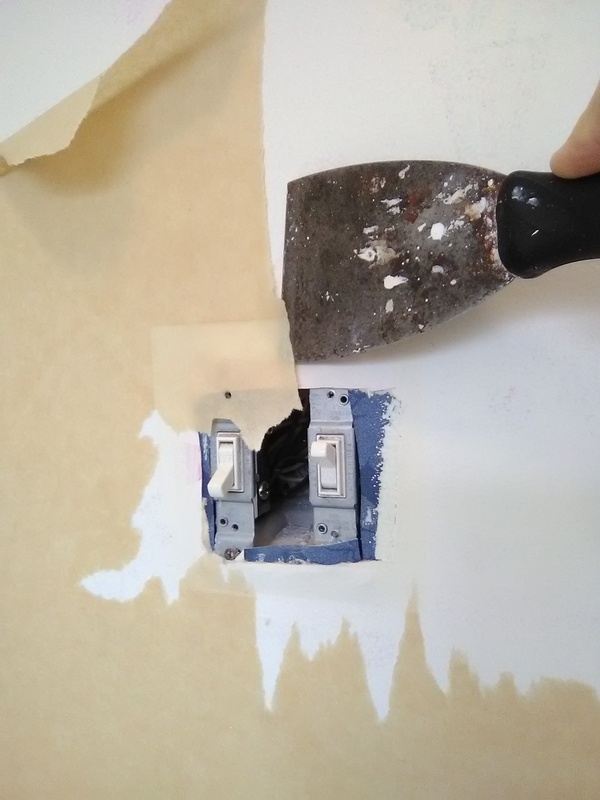 The problem is that the paper backing absorbs moisture from the wet paste and expands. That expansion pushes the vinyl surface backwards and creates the little bit of curl at the seams. 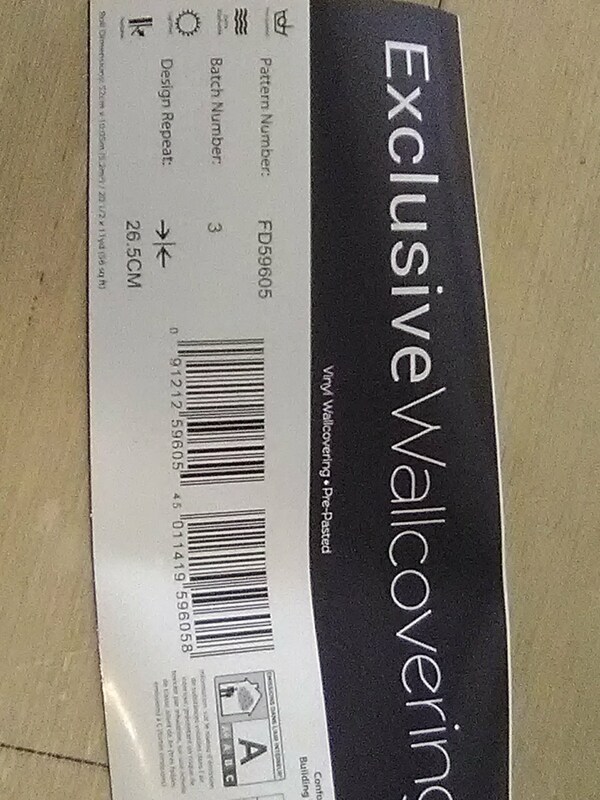 Often, this will lie back down once the paper is good and dry (which can take a while, because it’s plastic and there is nowhere for the moisture to go because it can’t pass through the plastic). But not always. 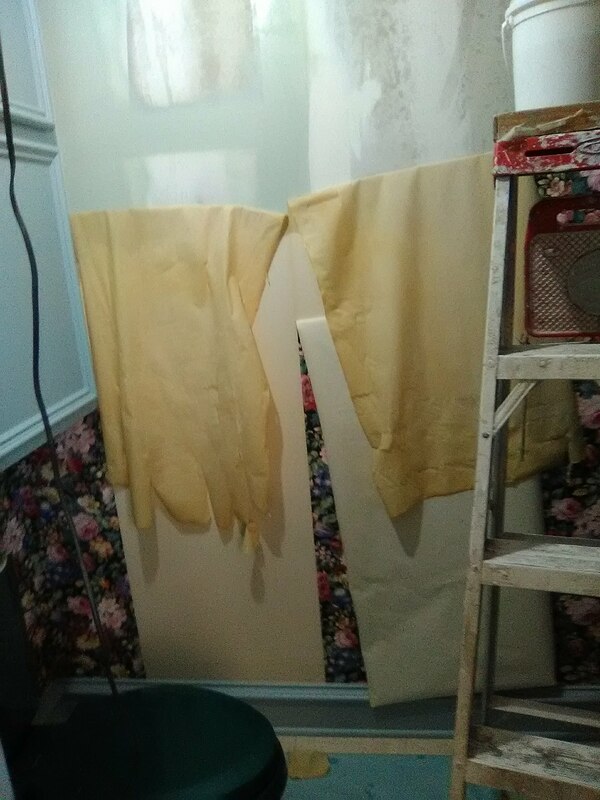 Now, if the seams curl when they are wet with wallpaper paste, how do you think they will perform when your teenager takes 40-minute showers and steams up the room, or on those days when you turn off the A/C and open the windows to enjoy the fresh air – a.k.a. Houston Humidity? 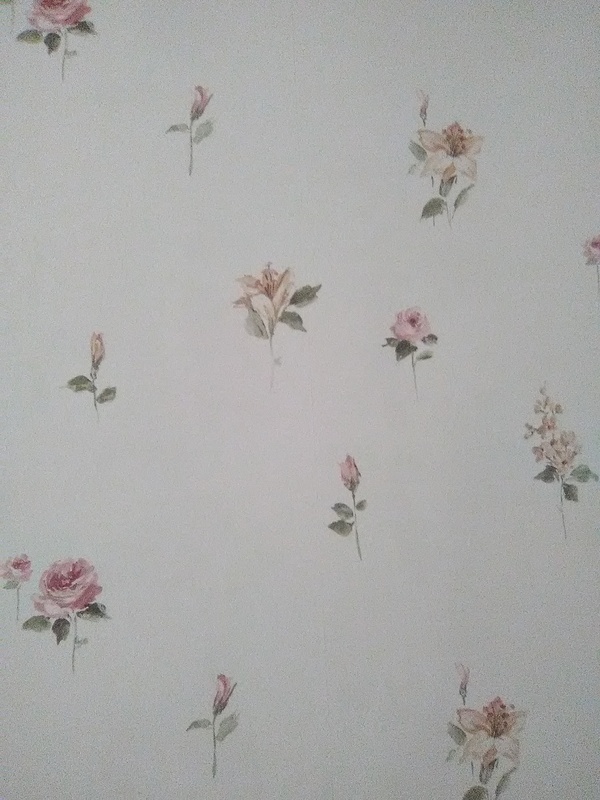 Did I mention that I hate paper-backed, solid vinyl wallpapers? 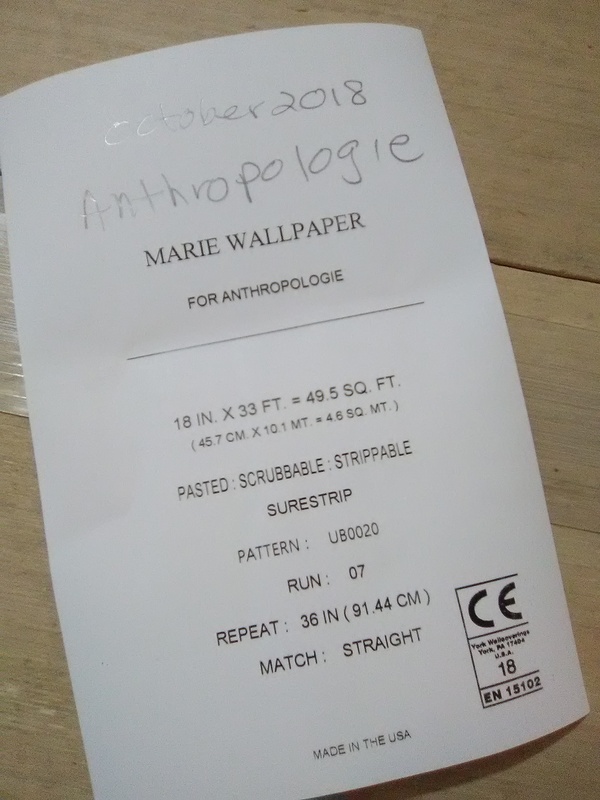 This paper is by Exclusive Wallcoverings and was made in England. 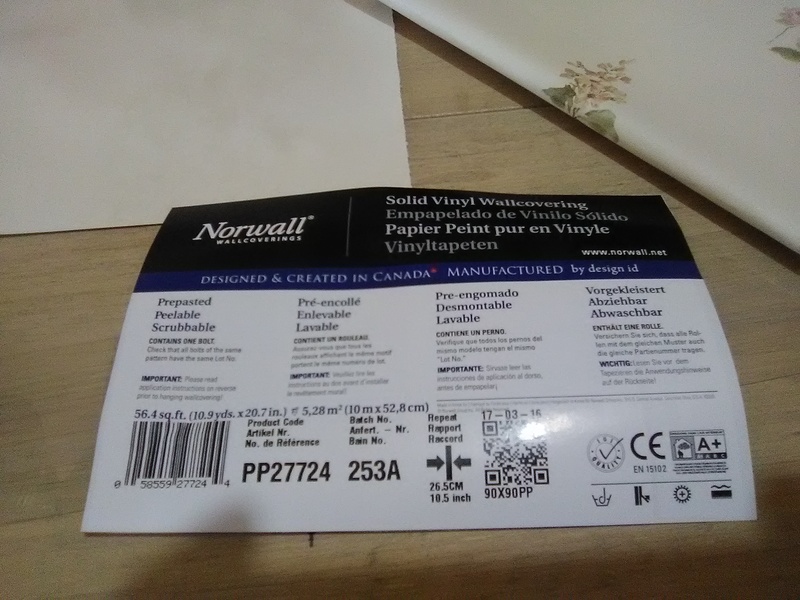 Better options would be a vinyl coated paper (similar terminology, but a big difference in material content), or one of the newer non-woven substrates, preferably the thinner ones (like the Sure Strip line), rather than the thick, spongy, or stiff ones. 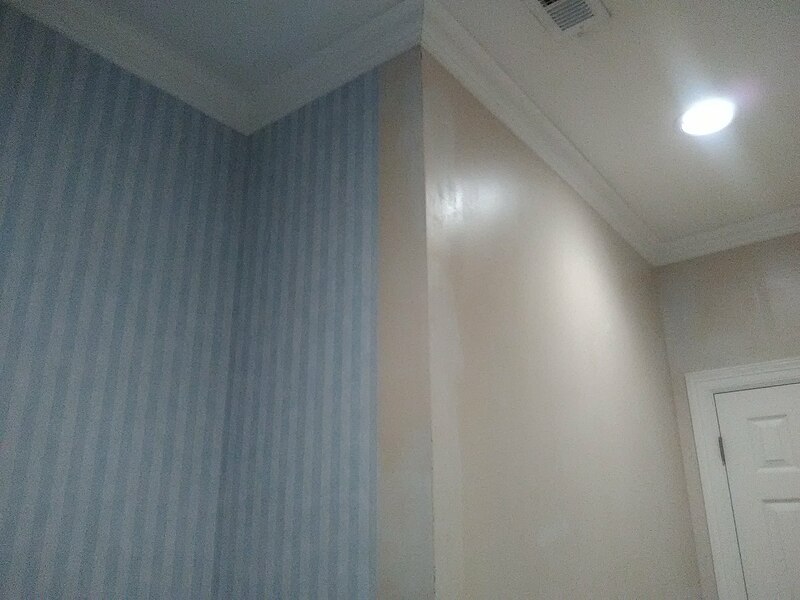 The Great Enemy of wallpaper is humidity. That is why some papers are not a good choice in some bathrooms. I particularly dislike solid-vinyl material on a paper backing, as they tend to absorb moisture and expand and curl and delaminate (vinyl detaches from the paper backing). You can see this happening in the top two photos. 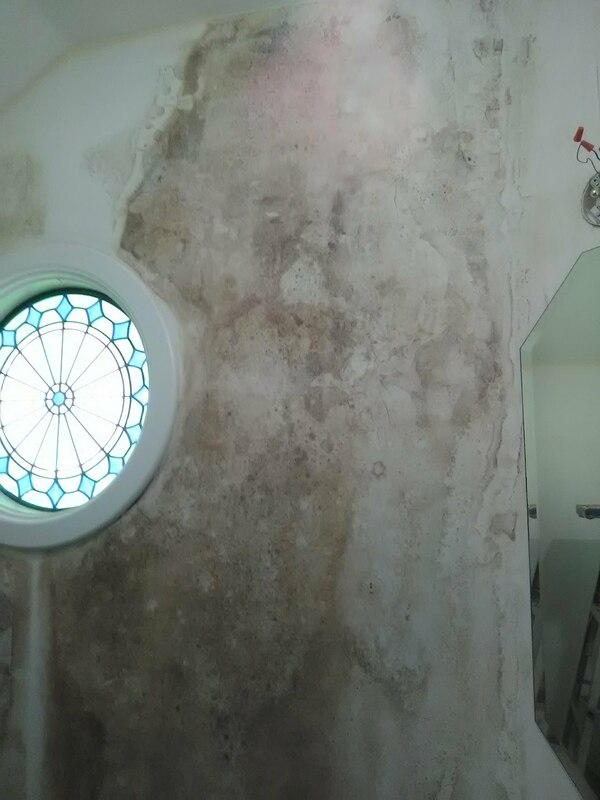 What is intriguing is that humidity is present not just in the bathroom itself, which would be attributed to hot showers and poor ventilation, but also behind the wallpaper and inside the wall, sufficient enough to cause rusting inside the electrical box. 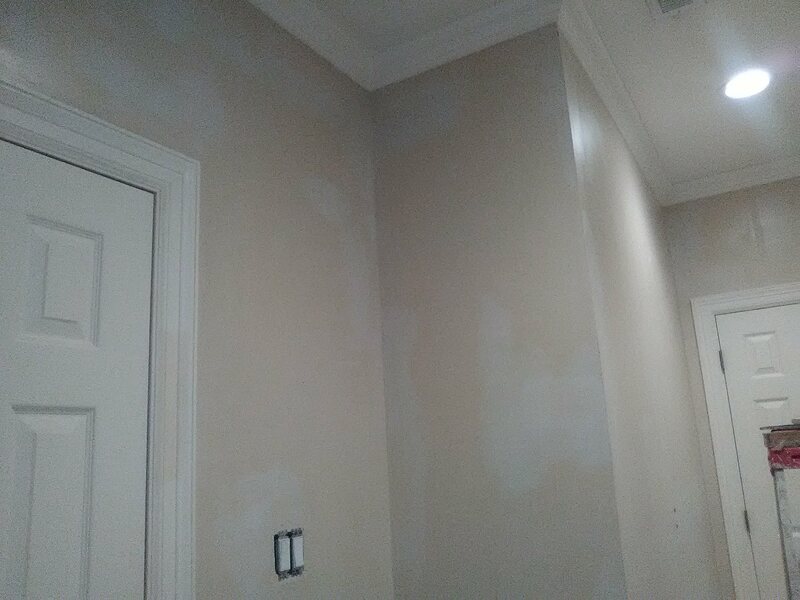 This is a 1930’s era home that was constructed with shiplap wood and lathe and plaster. 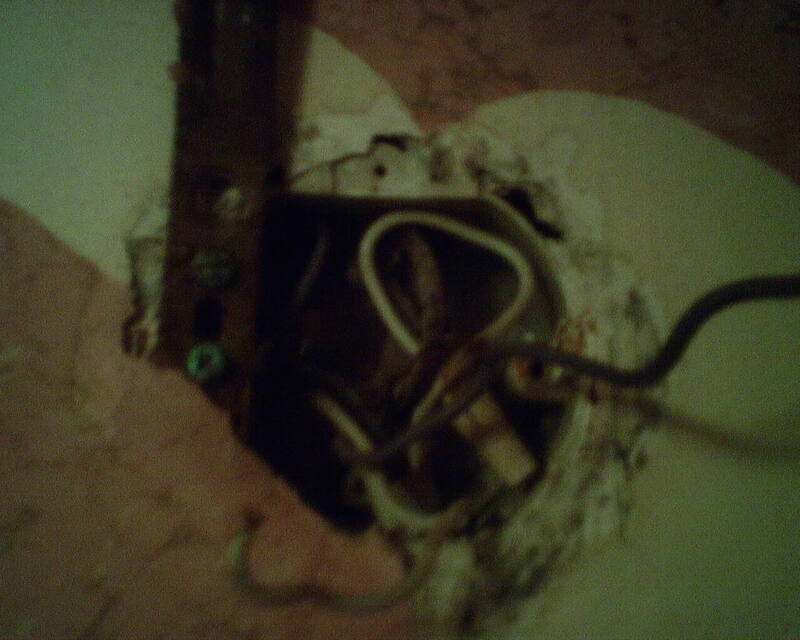 It has been updated with modern air conditioning, but still has the original walls and wiring, and ventilation is probably not as adequate as it should be. 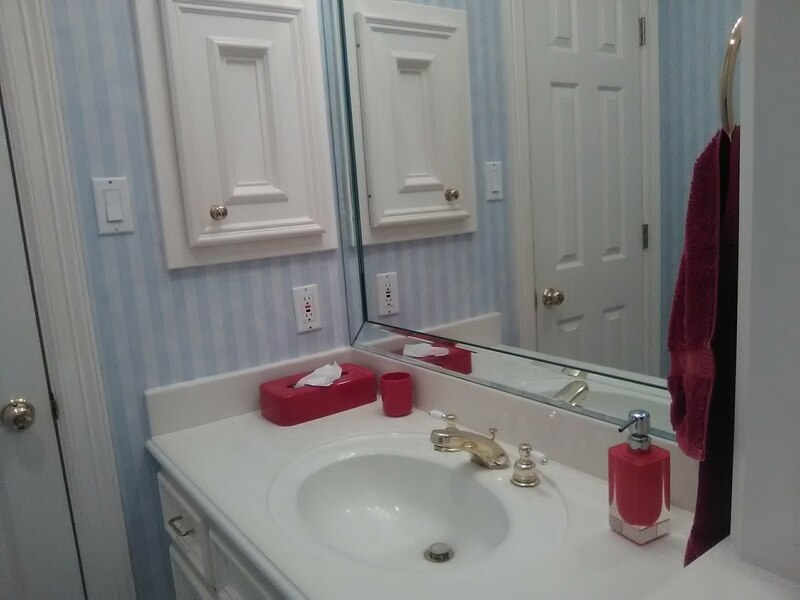 There is no vent exhaust fan in this bathroom, either, so humidity from a hot shower would just hang out in the room until it dissipates over time.